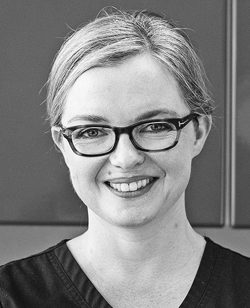 I graduated from Trinity College Dublin in 1998 with an honours dentistry degree and moved to England, where I have much enjoyed general practice in London and the southern counties since. Having practiced all my career as a general dentist both within the NHS and private practice and avidly enjoyed continuing my ongoing education yearly, I have been able to gain valuable experience in many different fields and have discovered happily that there isn't any part of dentistry that I don't like! When I moved to Wimbledon in 2002 I found it to be simply the best bits of London all rolled in to one and settled here. In dreaming up my ideal practice to work in over the years I wanted a welcoming neighbourhood friendly place to suit all general dentistry needs, and in 2011 I set this up myself. The brilliant team I have work around me all espouse the same values - friendly, caring, gentle, meticulous - and that is why they work here. I have a special interest in smile makeovers, however other special interests include helping the nervous person overcome dental fear using my trained techniques and experience, carrying out those changes that allow people really happy to smile confidently, and seeing children of all ages. Having two children recently has limited the skiing hobby somewhat, but reading and music are my lifelong loves.